WHY GO: Newport RI has a flair for the dramatic. The town is both paean to the America’s Cup Yacht Race and the conspicuous consumer lifestyle of the Gilded Age, with lots of shopping thrown in. As the “Yachting Capital of the World,” Newport hosted the America’s Cup from 1930 until the 1980’s, and now welcomes the cutting edge of fast-yachts – the radical, high performance design of the entrants in the 2017-2018 Volvo Ocean Race. It’s an exciting time to come to this former playground for filthy rich Victorians, and with great restaurants and luxe-cool places to bed down, Newport RI makes for a perfect posh getaway. VISIT: International Yacht Restoration School (IYRS). 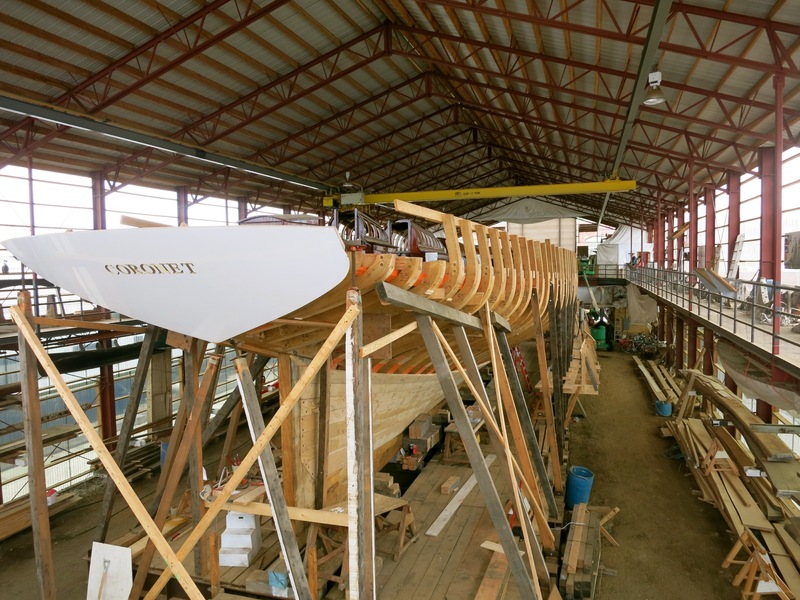 Watch future wooden-boat restorers at work, then pop into the back where you can see the Gilded Age yacht, Coronet, in the process of being restored. On dry dock within an enclosed structure, you can check out every inch of the ship up on a galley walkway – a thrill for anyone with a carpenter or boating bone in his or her body. Tuesday through Saturday, 12pm – 5pm, free. STROLL: Cliff Walk. Take a bracing walk on the dramatic 3.5-mile Cliff Walk that provides unobstructed views of both the back lawns of incomprehensibly large Gilded Age “cottages” and the Atlantic Ocean. On summer weekends, you might encounter gridlock on the Walk, so it’s best to come early morning or off-season. Please note, portions of the Cliff Walk sustained damage from Hurricane Sandy and might still be blocked off. Rosecliff: Before Robert Redford skulked the halls while filming The Great Gatsby, and Arnold and Jamie Lee Curtis were locked in an athletic tango for the movie True Lies, Nevada silver-mine heiress, Tessie Olrichs, hired Sanford White to build this excessive cliffside “cottage” specifically for entertaining. Adhering to the unwritten rule that to remain atop the Social Register one had to throw six dinner parties for 60 people or more in season, Olrichs spent seven million dollars (in today’s dollars) on entertaining every ten-week summer season in the French Renaissance ballroom at the center of the home. Men retired to smoke or play billiards away from what they must have considered frivolous drama. Besides the parties, society women were pressured to change clothing seven times a day – morning, sports, meals and even for cruising down mansion-lined Bellvue Ave. During the 1920’s Jazz Age, entertainment became less formal: when frequent guest, Cole Porter, wrote most of his hit musical, “Anything Goes” at Rosecliff, a ping-pong table had replaced the elaborately set tables in the ballroom. Like the rest of these preserved homes, Rosecliff was donated to the Preservation Society in 1971. Daily 10-5, $14.50, or purchase the “Breakers Plus” which allows a visit to both the Breakers and Rosecliff for $24.50 adults, $6.50 children 6-17. TOUR: International Tennis Hall of Fame. 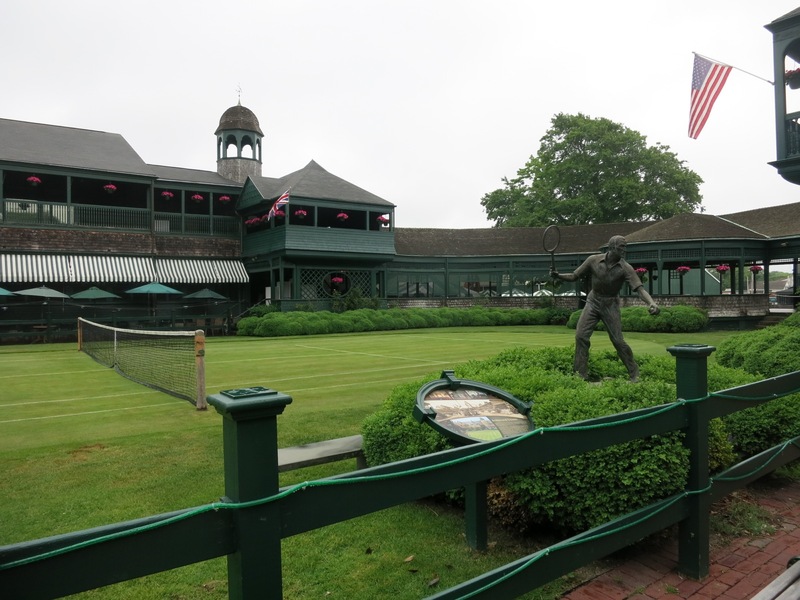 The first US National Men’s Tennis Championship was held right here in Newport in 1881, and now this former McKim, Mead and White designed Casino (not a gambling hall, but a Victorian-era Club), once used for horse-shows and garden parties, comprises the Tennis HOF. Plan on an hour or more to make your way through the well-conceived museum that is actually a lot larger than it looks. Read up on every tennis great from the 1850’s on, learn about the origins of the game and now this new “bouncing ball” changed everything. According to historians, Hollywood and the sport of Tennis grew up together. Charlie Chaplin imparted West Coast glitz to the game, and even now, you’ll find movie-stars in attendance at the US Open and Wimbledon. If you thought that the competitive Williams sisters are unique, consider Lillian and Maud Watson, who competed against each other the first year that women were allowed to compete at Wimbledon in 1884. The HOF gives women players their due, from the Watsons to Helen “Poker Face” Wills, who, between 1923 and 1938 “played like a man” and was significant enough to make the cover of Life Magazine in 1939. 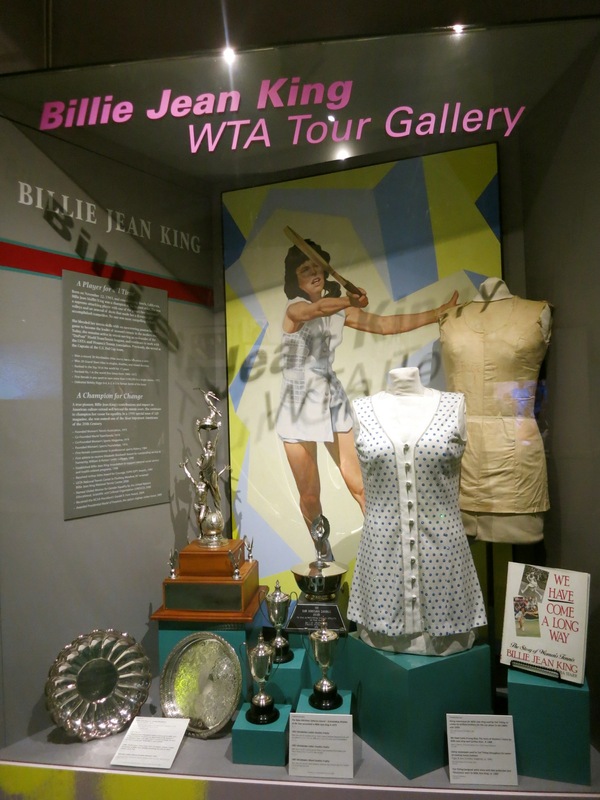 Even Billie Jean King gets to weigh in on her dainty pink rhinestone outfit, “girly” being de rigueur for women before tennis attire became badass. All the while, watch iconic games on videos throughout the museum, and then roam six acres of grounds. Stay to watch (or play) a game on grass or go up to the “Royal Court” observation galley to watch players bat a felted cork ball across the net. Open daily 9:30-5pm, $13, $16 with audio-tour. Half hour grass court time $80 for two players, one hour $120. VISIT: Touro Synagogue. 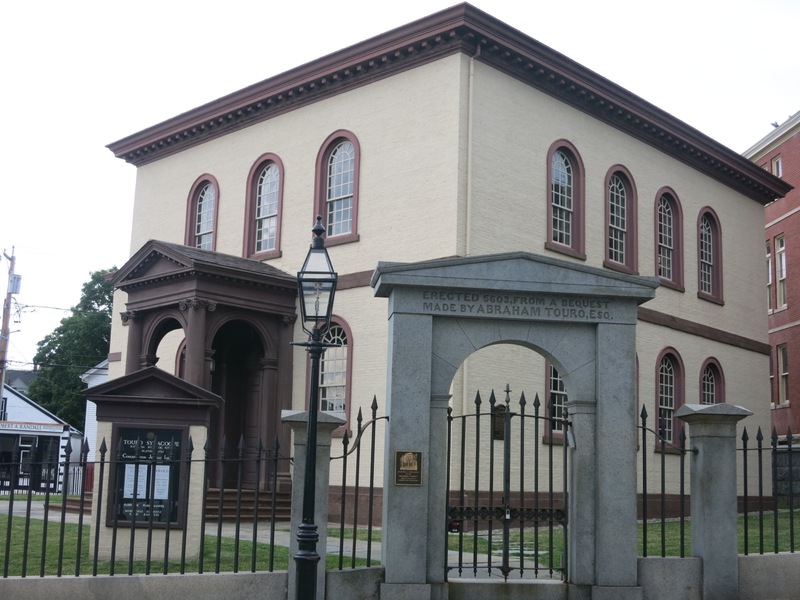 America’s oldest synagogue, Touro was the impetus for George Washington’s famous letter “To the Hebrew Congregation at Newport.” After visiting in 1790, Washington wrote, “every one shall sit in safety under his own vine and figtree, and there shall be none to make him afraid. For happily the Government of the United States gives to bigotry no sanction, to persecution no assistance.” Now a National Historic Site, The Touro Synagogue is both an operating House of Worship and Museum of Religious Liberty. Summer season, Sunday – Friday, Visitors Center: 9:30 – 4:30, Synagogue tours: 10:00 – 3:30, $12 adults. Consult website for operating times other times of the year. DO: Walk the Wharfs. Fellow travel Mavens probably don’t want to spend too much time on Bannister’s and Bowen’s Wharves, which were once stomping grounds for America’s Cup crews, but are now clogged with patrons of J. 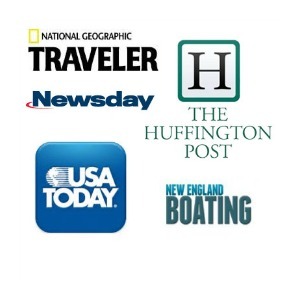 Crew – and other chain and souvenir stores, with one exception. Bowen’s is home to Newport Scrimshanders where Owner/Artist Brian J. Kiracofe has been carving scrimshaw on ancient ivory for over 25 years. 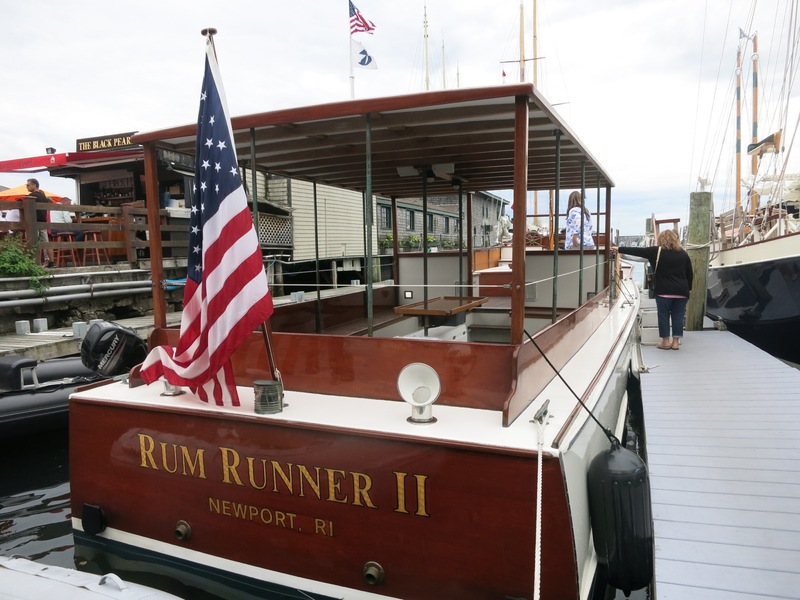 Bannister’s Wharf is also the departure point for harbor tours (see Rum Runner below). TOUR: Rum Runner II. Learn about “hooch” smuggling during Prohibition on the swift Rum Runner II, a newly restored 1929 Elco Motor yacht, aka a “bootlegger.” When the legal reach of Prohibition was moved from three to 12 miles offshore, boats like this were built for speed (originally three 500 HP Packard airplane engines, now two 350 turbo-charged) to outrun the law. Ninety-minute narrated historical tours of Narragansett Bay and Newport Harbor leave four times a day from Bannister’s Wharf. You’ll hear about the first officially appointed female lighthouse keeper, Ida Lewis, who served here in 1854. You’ll see the evidence of massive but fleeting Victorian-era and Roaring 20’s wealth gleaned from Worcestershire Sauce (of all things), railroads and banking lining the shoreline now gone museum or condo, and pass “Daisy’s Dock” from the Robert Redford version of The Great Gatsby. 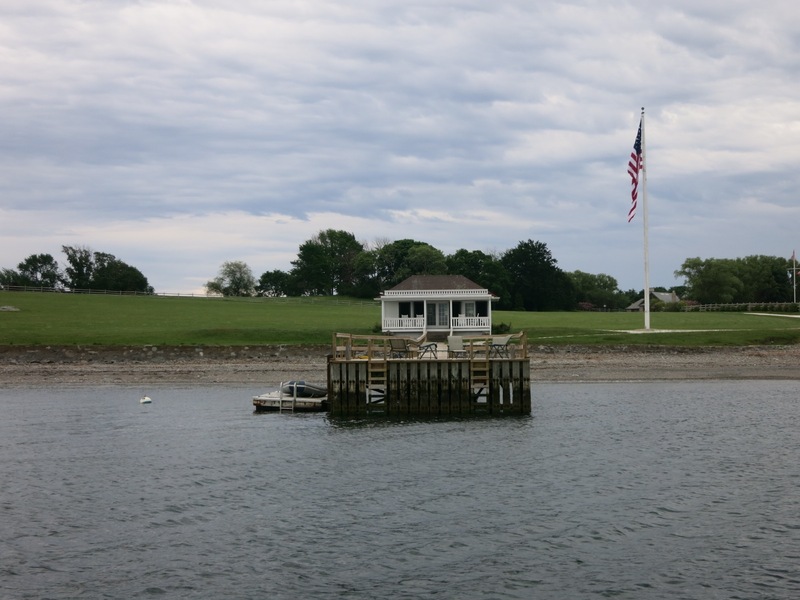 You’ll learn the history of Goat Island, where the Newport Hyatt now stands, which once housed a torpedo production facility that supplied over 60% of all the torpedoes used during WWII. 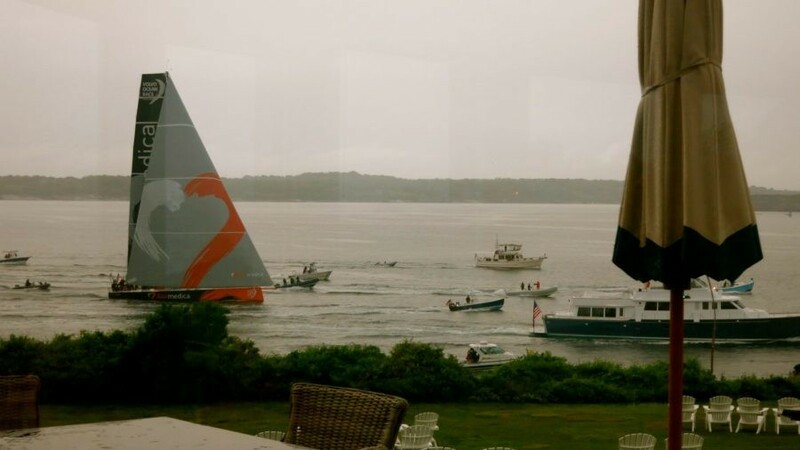 If you’re lucky, you’ll see a fleet of former America’s Cup yachts at sail. Heritage, Columbia (the 1958 winner), American Eagle and several others are available for charter. 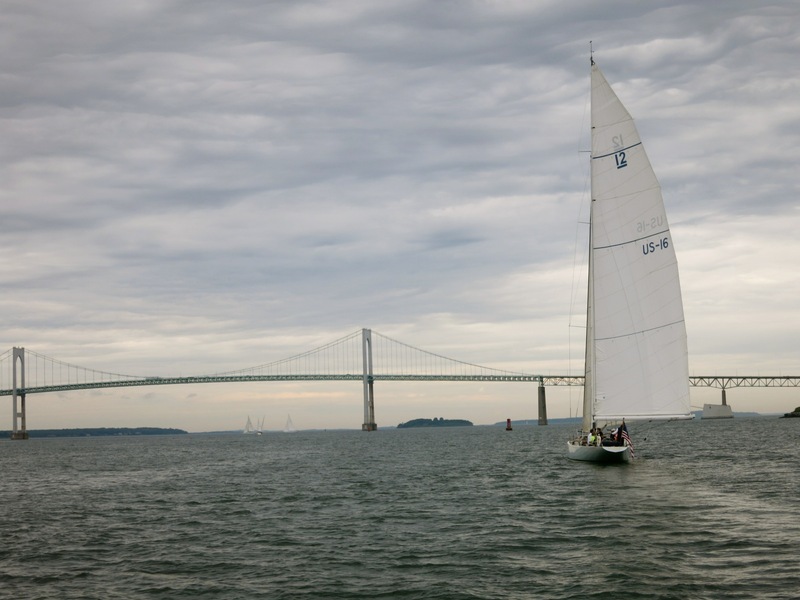 There’s nothing more beautiful than seeing these graceful and elegant gals in the foreground of the Newport Bridge. Five departures a day from Bannister’s Wharf, $20 for narrated 75 minute tour, $30 for sunset Cocktail tour. 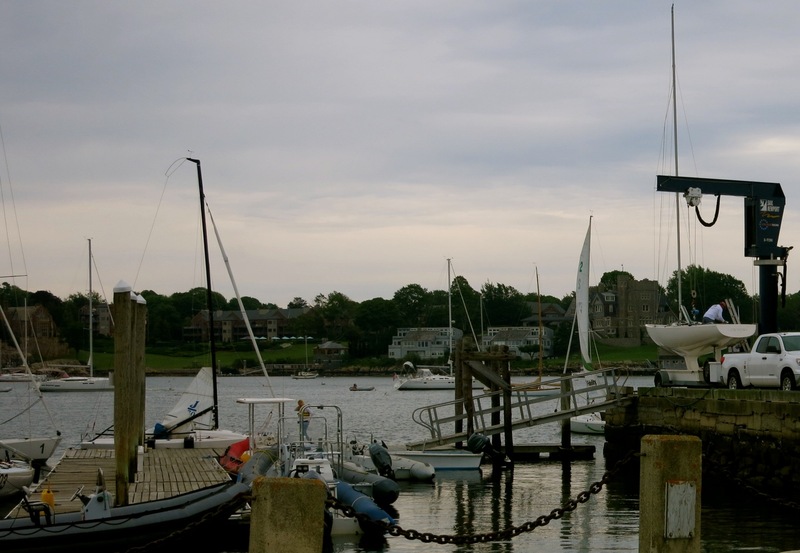 TOUR/SAIL:Fort Adams SP. 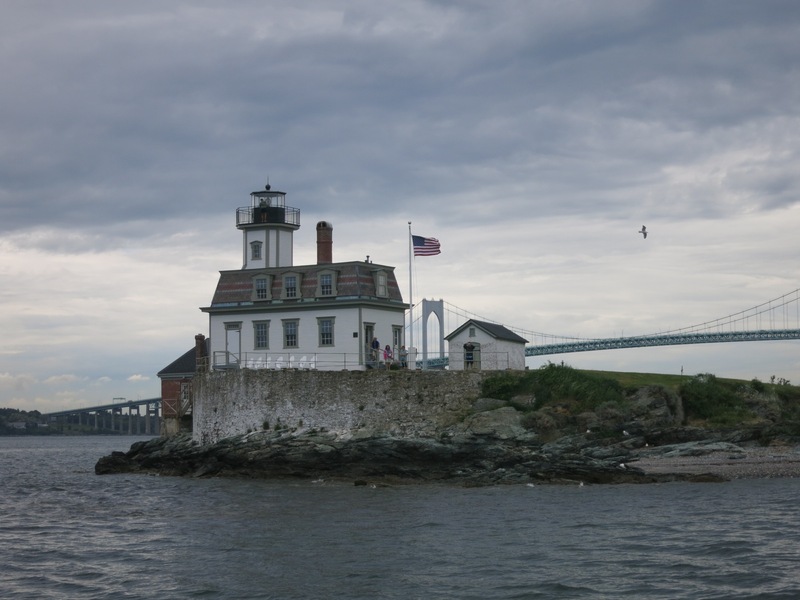 Jutting out into Newport Harbor, Fort Adams was built in 1857 as a precautionary measure. Though it never saw battle, the fort is open for tours, and you’ll find other places of interest on this most picturesque of Newport promontories. 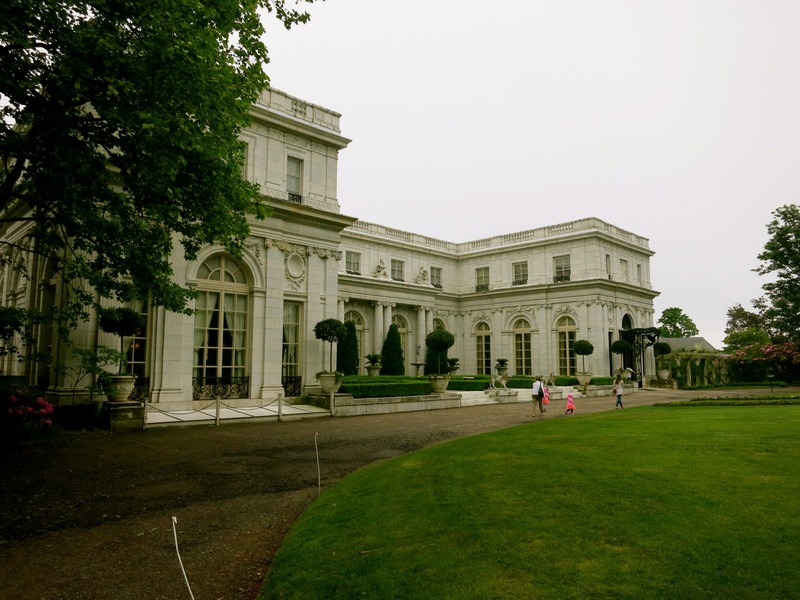 It’s also the site of President Eisenhower’s Summer White House (now rented out for weddings) and the venerable Newport Jazz Festival (where Bob Dylan “went electric” in 1965, disappointing many fans). For those who know how to sail, rent a J-22 or Rhodes 19 for as little as $73 for 3 hours on a weekday (providing you pass a proficiency test) from the Public Sailing Center – a great way to get out on the water without the financial strain of boat ownership. SEE: Volvo Ocean Race Yachts. Sleek performance yachts participating in the 2017-2018 Volvo Ocean Race will be entering Newport on or about May 11, 2018, with a planned In-Port Race scheduled for May 18th. There is sure to be plenty of hoopla, so if you wish to stay overnight, make your plans now. 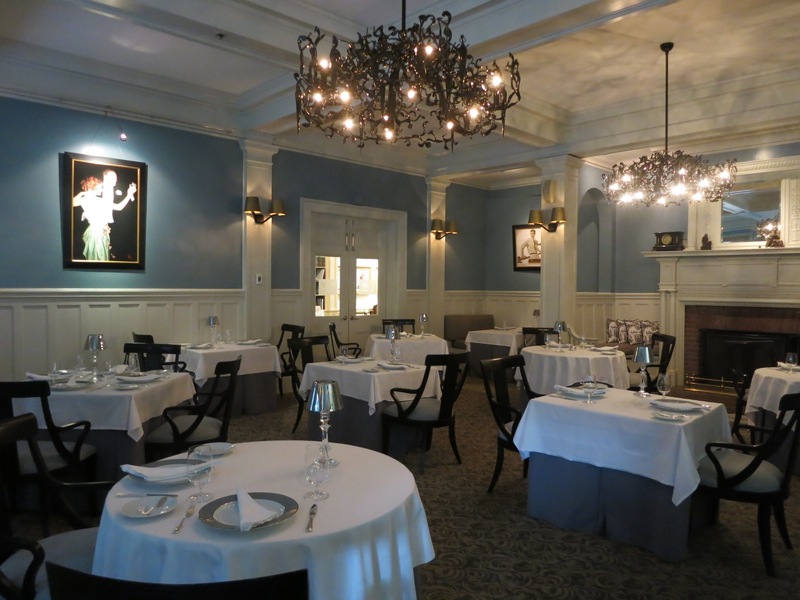 EAT: Castle Hill Dining Room. The setting is exquisite – a conservatory with floor to ceiling windows overlooking Narragansett Bay. At dusk, you’ll watch yachts sailing back to port as the blinking lights of two nearby lighthouses take over the dark. Food is seasonal and on the experimental side for a hotel: and a joy to behold and eat. Vidalia Onion Soup, poured at the table into a shallow bowl of mix-ins, creates a textural, mouthwatering ensemble. The popular Rabbit Confit rolled “en croute” – though more like a large spring-roll – is a gamey and toothsome alternative to the raved-about Lobster Poached in Butter. But I was impressed, both aesthetically and gastronomically, by the Salmon with Smoked Beets. Laid atop sautéed escarole, on a swath of fusia beet puree, it was an edible modernist painting; the fish and smoked beets – perfection. Nothing stuck me for dessert, so I chose Milk Chocolate ice-cream as default. It proved to be a diet-dangerous choice – as luscious as a creamy, frozen melted Toblorone bar. I could have eaten a few pints of the stuff. 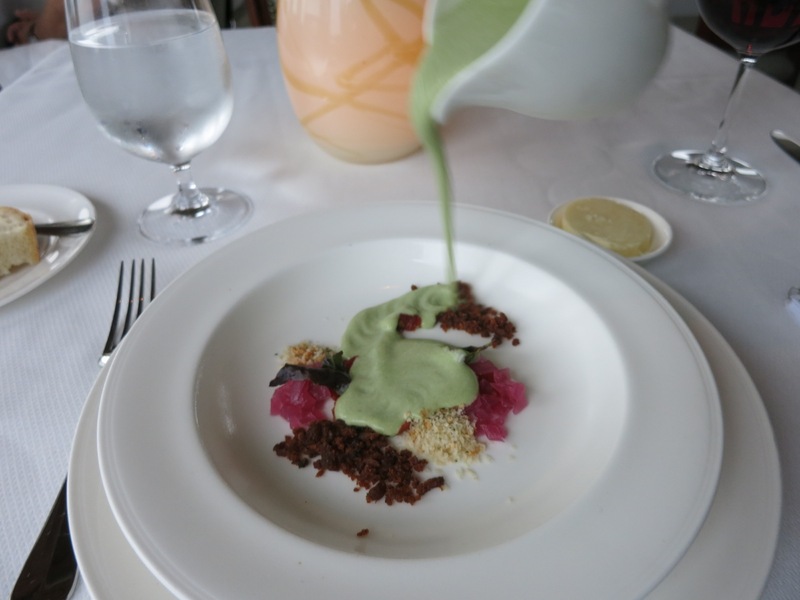 EAT: Newporters in the know recommend Tallulah on Thames for “Modern, Fresh, Local” cuisine, Muse by Jonathan Cartwright at the Vanderbilt Grace Hotel for the height of fine dining, and The Mooring – on Bannister’s Wharf for seafood. STAY: Castle Hill Inn. Exclusive, highly luxurious, exceptional service, and three miles removed from the madness of town, the Inn sits on headlands, making it the perfect vantage point to watch boat traffic coming in and out of Newport Harbor. For more on this first-rate inn, read this Getaway Mavens review. Rooms and suites $400-$1250 depending on location, size and season include gourmet breakfast in the dining room. STAY: The Attwater. Just a five minute walk to downtown and eight-minute stroll to the beach, the Attwater is one of the latest in Newport Boutique hotels. Highly lacquered furniture and high-gloss hardwood floors lend a nautical element to each of eight breezy rooms and four suites, with color palettes in beachy sea-foams, whites, sands, golds and rusts. Beds are pillowtop, barn doors slide open to pea-sized retro black and white tile bathrooms, and each room features an I-Pad that acts as both a hotel directory and temporary perk for guests. Parking in downtown Newport can be a nightmare, but the Attwater has its own parking lot. And it’s free. Rooms and suites $159-$609 depending on size and season. STAY: Rose Island Lighthouse. Out in the middle of the harbor, you have to arrive by boat, make your bed every morning (it’s a museum), pack a cooler with food (no restaurant), share a pump-toilet and possibly do chores (if you sign up to be a Lighthouse Keeper for the night or week). But, oh, the view. Rooms are $165 per night and include transportation to and from shore.